At Chicago Limo Coach 1, we appreciate your business and are committed to providing you the best service available. Our dedication to our customers includes safe, punctual and reliable transportation to meet your specific needs. You will find our courteous chauffeurs are expertly trained professionals who will handle every aspect of your special event with professionalism. We are known for world-class transportation services that distinguish us in the transportation industry. We pride ourselves in customer service that will exceed your expectations. 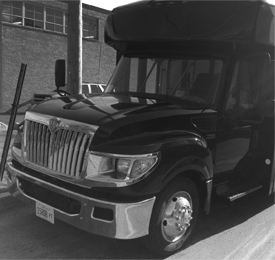 Chicago Limo Coach 1 is a full-service leader in luxury ground transportation. Our fleet includes a variety of vehicles for you to choose from. Whether your travel is for business or pleasure, choose from our impressive line of Mini Buses, Coach Buses, Charter Buses, Motor Coaches, Luxury SUV's, Sedans, and more!